Sweetplayer is a free media player that can get onto your computer through pop-up advertisements. The program is developed by Perion Network, based in Israel. The Sweetplayer program is not harmful, but it is distributed alongside unreliable programs; hence, it categorized as a potentially unwanted program (PUP) and can be removed from the computer by certain security programs. Regarding pop-up advertisements, you should bear in mind that you may encounter pop-ups generated by websites and by adware programs, which are usually installed as browser add-ons or extensions. Pop-up advertisements promoting the program Sweetplayer have been observed to contain the name of the program in the URL address. However, no official website of the program has been found. 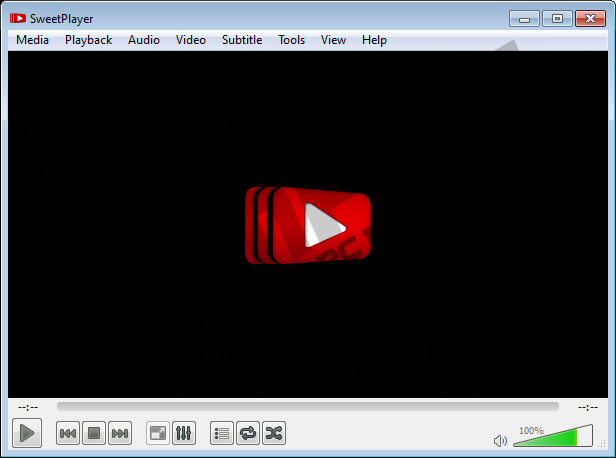 Pop-up advertisements promoting the media player may not contain the name of the program; instead, you may only be encouraged to install some “video update” or some other questionable program. Upon launching the uninstaller of Sweetplayr, you are shown some additional offers to install new programs. When analyzing the program, we were offered to install WinZip Driver Updater, Super Optimizer Installation, MyPCBackup, and PC Speed Up. It is crucial to uncheck boxes given next to the entries presenting these programs, because, upon installing them, you will be shown pop-up alerts encouraging you to invest in those programs. Additionally, alongside the programs mentioned, the installer of Sweetplayer ask whether you agree to have Search Protect installed and the home page and search provider of the browsers changed to Better-Search. The Search Protect program is used to maintain your selected browser settings, so that they are not changed without your interference. This program is known to be distributed by Conduit browser extensions, which are well-known to many malware researchers. Upon removing the extension, Search Protect remains on the computer and may reinstall the removed program. If you want to use the computer as usual, ignore pop-up notifications promoting questionable programs and keep the system protected. As for the new search engine, we advise you against changing the settings in this way so that you can prevent pop-up advertisements, and other unexpected consequences. Below you will find our step-by-step instructions on how to remove Sweetplayer, or any other program that has its uninstaller, manually. But you should consider the fact that your operating system needs protection against malware and spyware. We recommend that you install SpyHunter, which can remove unreliable programs and shield the system against more dangerous threats, such as Trojan horses, browsers hijackers, and fake anti-virus programs. If you have any questions concerning the removal of Sweetplayer, do not hesitate to leave a comment below. If you want to be sure that no unreliable programs are present on the PC, do not hesitate to implement the scanner available below. Quick & tested solution for Sweetplayer removal.